Hello, world! My 2nd blog will focus on screen addiction! It is indeed a fact that the computer screen has become the primary way in which mediated culture is experienced. This leads me to characterize the culture we have right now. We have a culture where there is an evident screen addiction. This is taking a toll especially with the youth. Researchers find that eight to ten year old children spends nearly eight hours a day viewing a screen. It can be on computers, laptops, smartphones and tablets. Older teenagers spend a longer amount of time of approximately eleven hours a day. One of which is emulation. They model and copy what they see in media. In this case, they copy video games. The parents of these children argue that they just sit and play. There is no harm on what they are doing. The parents are wrong in this case. Social skills are not developed properly. There is no human interaction in a video game. And it is needed to form an identity, a sense of self to the child. Another one is a distorted view of reality. There view of the world is skewed and not realistic anymore. A hyperreality exists. Video games in particular contributed to this phenomenon. An example would be Daniel Petric. He shot his parents since they did not allow him to play Halo 3 anymore. The environment or we could say the reality created by Halo 3 could possibly be a reason for this accident to occur. This example also falls under the first impact of emulation that was previously mentioned. It is possible the physical consequences would transpire. 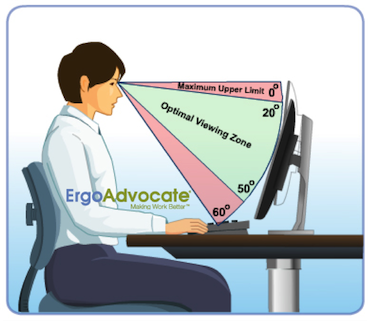 Screen addiction would result to poor eyesight. It can potentially damage your hands, neck, and back. Although there are suggested solutions such as ergonomics, a science that deals with designing and arranging things so that people can use them easily and safely, we should be aware of this addiction and as much as possible cope with naturally by lessening our time with the screen. A brutal and in my opinion an impossible way to remove screen addiction is to total abstinence from technology. I cannot even do this. It is possible but it is very difficult. There are people who have modified their lifestyle in such a way that there is no complete abstinence from technology but rather a systematized selection of technology. To answer the question “Do you subscribe to or disagree with this culture?” I would like to say that I agree that the culture we have now is full of children and/or teenagers who are suffering screen addiction. This includes me and my family. I would support my opinion by stating examples that I have in daily life through particular people. Myself. I have been playing a lot of video games. Particularly this game called DOTA 2 On record I have been playing a total of 3,242 hours. If you do the math, I have been playing this game for 135.08 days. As you can see in the photo below that’s only DOTA 2. It does not account for the other times I’m facing my screen. I am also an avid anime viewer. I binge watch a lot of anime series all the time especially when I don’t have any errands or schoolwork. 2. My friends. It’s currently 1:47 AM right now. I browsed Facebook. Behold a lot of people still online. Approximately 40 of my teen friends are online even though it’s a Monday today. It just goes to show that there is an addiction to this screen. They might not be facing the screen right now since some are idle but we cannot tell for sure unless I ask them one by one. It is apparent that screen addiction is rampant in my relationships with my friends. 3. The World. I just visited a website that measures how many users are using the internet. I assume that most of this people are looking at their screens. Maybe some are downloading and sleeping as this is also my doing from time to time when I have new games to play with. The amount is staggering. Three billion users. Let’s assume that a third of this sample size are children and or teenagers. That’s still a billion of them. A billion kids addicted to the screen. It is very hard to remove now. It is already in the culture. The only way for this culture to not exist is for some future culture to flourish. I am part of this culture. I see the harm although the pros outweigh the cons. I am happy with this addiction and I do not think people should try to ratify it. There is nothing wrong with it. Finally, I think removing it would do more harm. I would certainly be pissed if they remove the internet. I could imagine riots and uprisings when they actually address the problem of addiction. It would be hypocritical of me to say this but let’s just hope that this addiction would not be extreme to the point that we would be like the people from the movie, WALL-E.
Once again thank you for reading this blog post! Comments, suggestions, and queries are highly appreciated. Great read! I agree with most of your points, and the way in which you’ve written this makes me respect your views even if I do not agree with all of them.